It was bound to happen. Eventually I would be my own man and stop being a slave to my preconceptions and long held beliefs. Stubbornness can only go so far until it’s simply no longer viable, no longer enviable, and no longer attractive. What was I thinking? For too long I held that the inclusion of a subwoofer in an audio system was a negative, a sign of failure, that I had to admit that my favorite speakers had failed me somehow. I got it into my head that subwoofers were solely the province of the Home Theater crew and that I was/am an audiophile, and we don’t roll that way. Last year I attended CAF (Capital Audio Fest) and saw to my amazement the number of subwoofers, branded and un-branded, in exhibitor rooms and how they complemented the traditional speaker systems. My curiosity got the best of me, so I spent several hours in rooms staring at the subwoofers, their construction, configuration and design. That did it; the holidays were approaching and I was going to put a subwoofer on my wishlist. I had to hear this for myself in my own system, on my turf, on my own terms. Fortunately a friend of mine picked up on this desire and gifted me with a Dayton Audio Sub-1200 12” subwoofer, which I could claim as my very own. Three weeks in and I could not have been more pleased with the results. Look at it this way, I thought that after one week I would have packed it back in its box and sent it on its way to my storage locker. Now it took some configuring and some insights from Ed Mullen, of SVS Subwoofers to school me on settings, configuration and cutoffs of subwoofers, in this case, the Dayton Audio Sub. Most important thing I learned is that less can be more. My Parasound Halo 2.1 Integrated Amplifier ships with a sub-out, making things easier, but once I relayed the physical specifications of my Audio Physic speakers to Ed, he was able to provide me with some settings as a guide. Firstly, I followed the instructions from Dayton Audio and had the subwoofer set to 80 Hz and, fool that I am, overdid it on the gain. And BOOM goes the … as they say. Lesson learned early on and quickly rectified. Also, ratcheting the crossover point downward to 50 Hz made a huge difference. thinking that the subwoofer is filling a void in my brain; providing a sense of definition, a boundary much like the edge pieces, the frame of a jigsaw puzzle. I sense the subwoofer is making the blacks blacker — in photographic terms, an adjustment not only in contrast but highlights and shadows. The stereo image is far more defined, more focused; where once my eyes/ears darted subconsciously from side to side, I now find myself paying more attention to the music. Zen-like, the integration of the subwoofer into my system has me channeling my energies to one central point, and I’m like this a lot, a whole lot. Now let’s get serious about guilty pleasures when it comes to music — the kind of stuff we’re loathe to admit is on our playlists. I reckon what harm could come of this, so I start playing music that should not benefit from a subwoofer, only to discover that these tracks actually have low-octave content. Hot damn, there are bass lines to be plumbed in and at depth. Not what I expected and I am being forced, in a very good way, to re-listen to a number of recordings all over again. 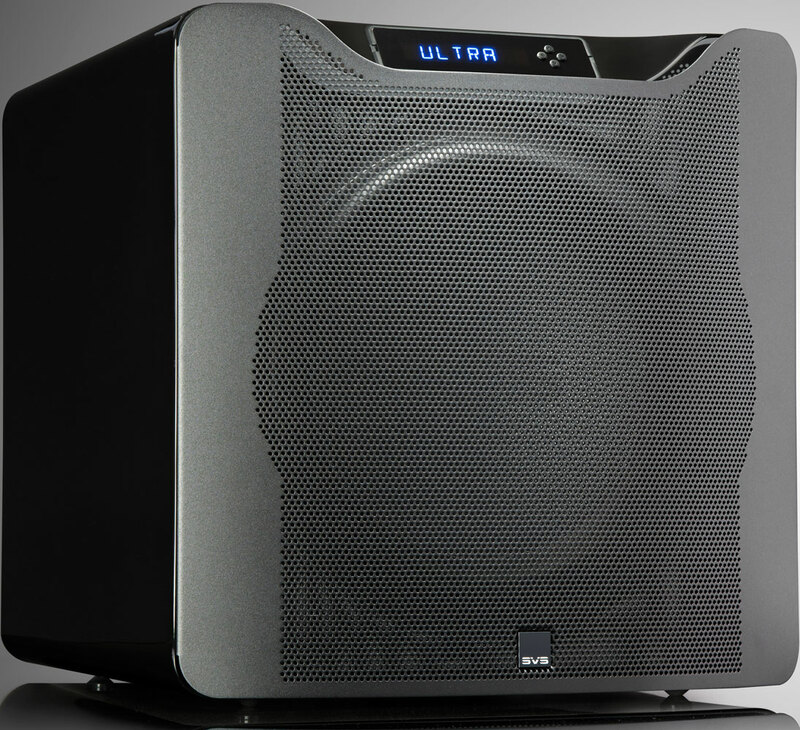 The Dayton Audio subwoofer is indeed serviceable, with its 120 watts of amplification and downward flared ported design it comes in at the princely sum of $148.00. 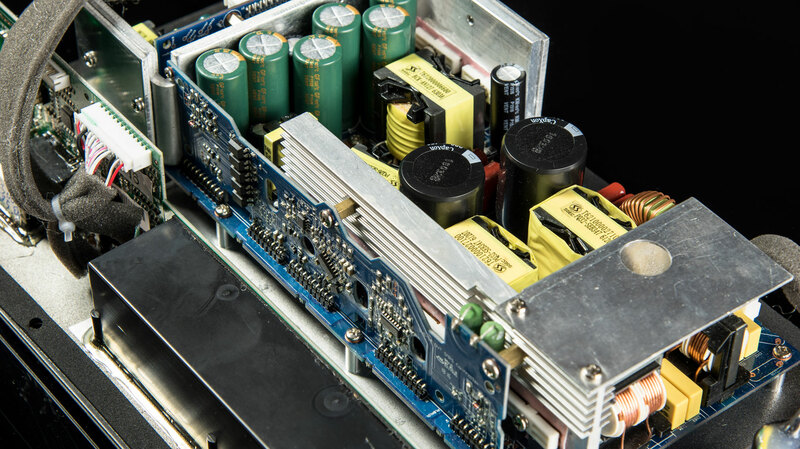 Is this model the last word in subwoofers? No, it is not. Is this model a great entry point for the novice? Indeed it is, and more. For someone as cynical and skeptical as myself it is not in me to jump in with both feet. So here I am, already searching out the upgrade path. I’ve got SVS squarely in my sites. Gary Yacoubian, SVS President, was so helpful in pointing me in the direction of Ed over there, so it is down to two models of theirs, both sealed box variants: the new SB-4000 or the SB16-Ultra. Either one would take me to a whole new level and, now that I am more at ease with the subwoofer as more than a concept, I am prepared to take that next step. I went with the SB-16 Ultra because size does indeed matter, and if I was going to risk physical injury with a component that size, I reckon I’d go all-in. Now, let’s be clear, abundantly so, I am not a Home Theatre enthusiast, I am someone who is transitioning from 2 to 2.1 channel Hi-Fi. Far from being flippant in sharing this fact, it underscores not only how will I be employing a subwoofer (singular) but the context in which this review should be consumed. I must admit that I really like the look of the SVS SB16-Ultra from the picture at top with its grille and below showing a bit more with its grille removed. There’s something to be said for SVS’s adherence to clean, austere physical design. With the grille on and the power off I had the un-initiated visiting my home wondering if I’d parked a fridge in the sitting room. I should note that it arrived on a pallet and, once it made its way to my 16th floor abode, it took two of us (thanks Dylan) to not only get it up the switchback staircase in my duplex but to extract it from the tight clutches of its precisely measured, tightly packed, well insulated shipping box. Now, what makes the SB16 different? 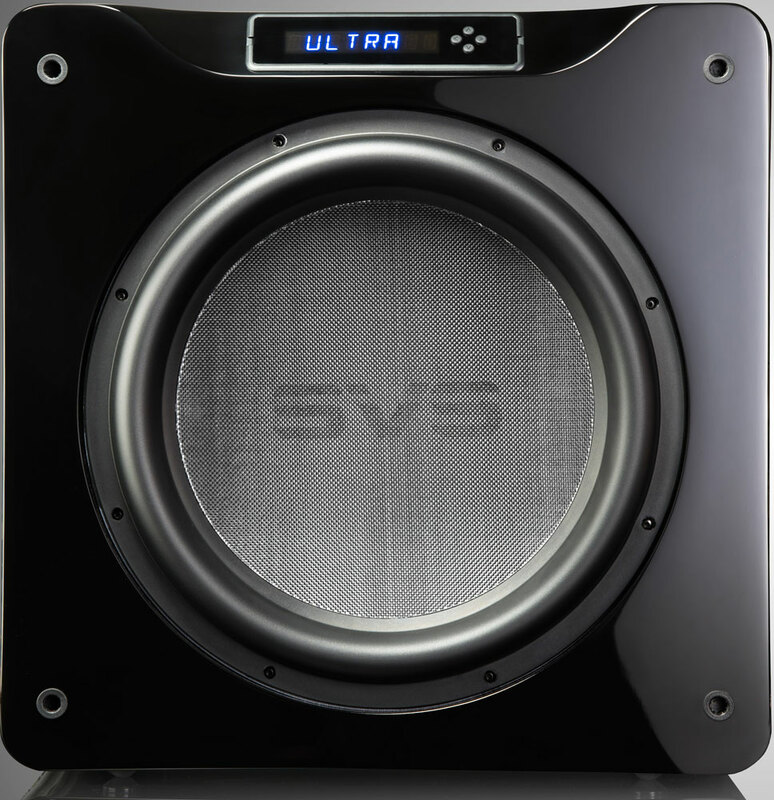 Why, apart from this, is the SVS SB16-Ultra technologically advanced? When you’re done, do come on back. We’ll leave the reading lamp on for you.